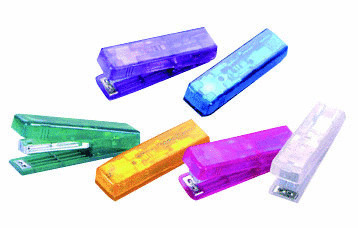 Pocket Stapler No.10 - High quality Taiwan Pocket Stapler No.10 provides by CHANYEX CO., LTD.
Packaging Method: 1 piece per plastic box or subject to client's requirement. * Loads: 50 pcs No.10 staples. * Folding type plastic body with built-in lock device. * Packing: 1 piece per clear pvc case or blister card. * Transparent or solid colors are both available for your choice.